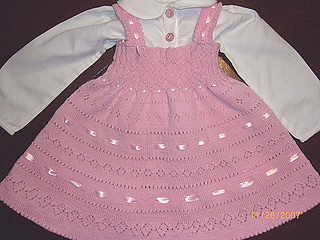 From out-of-print Book 164, this beautiful baby set includes patterns for the dress, bonnet, coat, cap and purse, all done in our favorite Baby Ull. 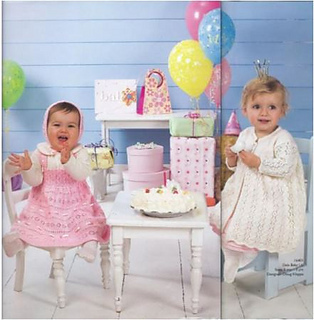 Designed by Olaug Kleppe in sizes 3 – 36 months. 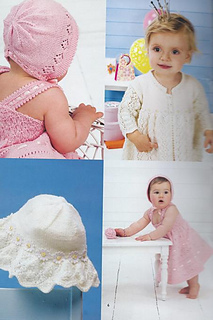 This downloadable pattern includes baby dress and bonnet, coat, cap and purse!